Welcome back to Dragonball Tuesday. 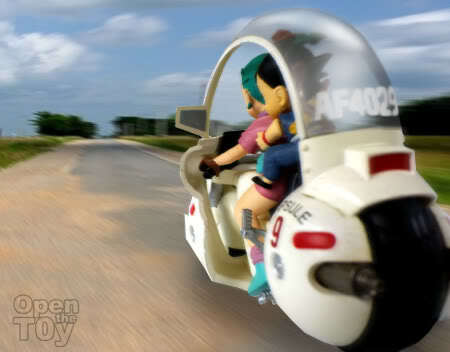 Bulma the daughter of The Capsule Corp owned many capule vehicles. 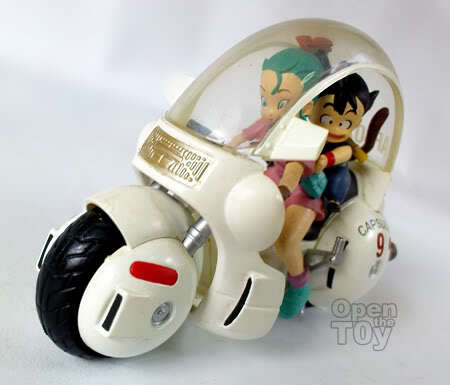 One of the vehicle that left me a deep impression is none other than this futuristic bike Capsule 9 somewhere beginning of the Dragonball Manga. Like most Capsule vehicles, it has a short life span. 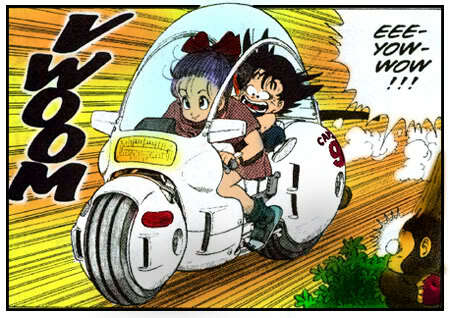 It was soon destroyed when Goku drove it to rescue Bulma from the hands of a Dino bird. 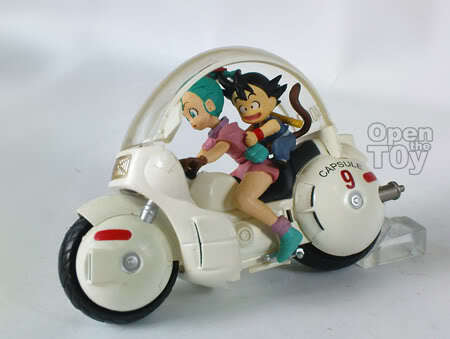 When I saw Capsule 9 bike toy on sale at a flea market years ago, I jumped on to it. 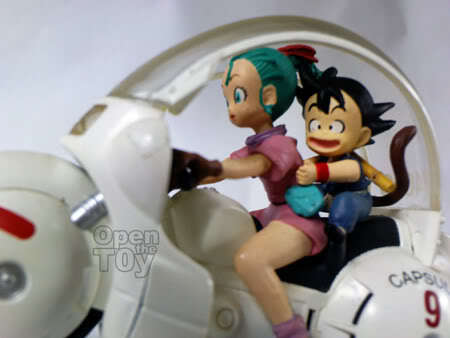 The Bulma and Goku figures look exactly in that scene on the traveling bike. The detail was so good that even the back license plate was printed. 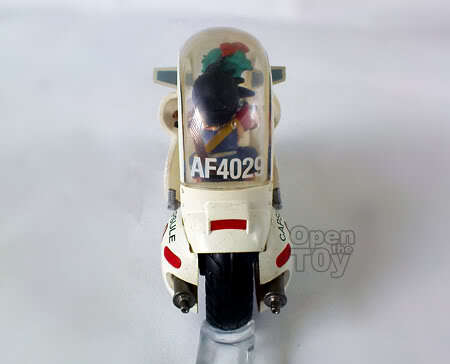 As a toy, the bike doesn't balance by itself. It need a wheel support and with it, you can tilt the bike to one side. At the closer angle, their expression was well captured. Not knowing any future challenge they have to face and without a care in the world. The wind was blowing and their hair were dancing. 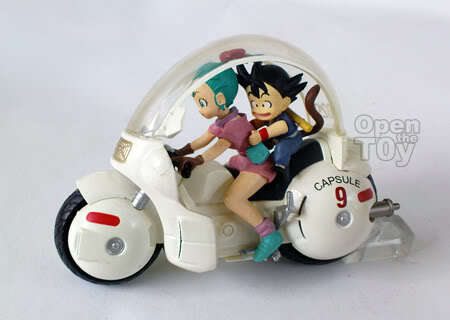 Together, they embark on the quest of collecting the Dragonball. It's a cool design. I have seen real bikes that adopt the dome glass panel. Maybe it's inspire by Dragonball artist.